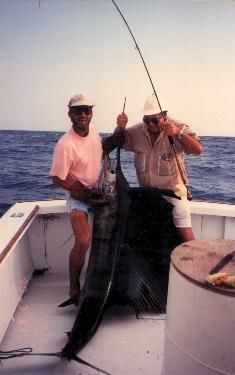 What great smiles! 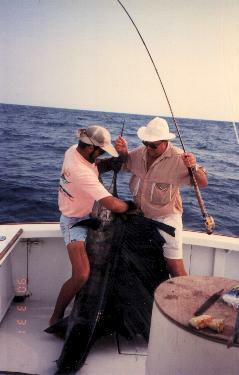 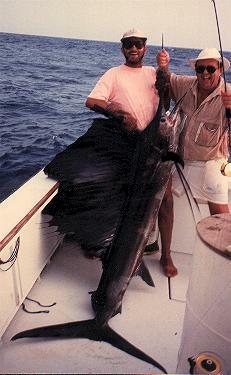 This is my Dad's second sailfish on fly. 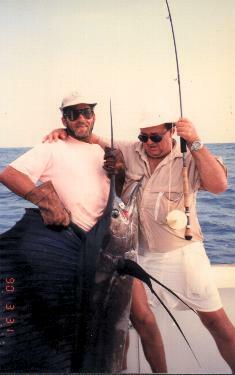 We did not get any photos of the first sailfish he caught on fly because it broke off after he touched the leader with the tip of the fly rod. 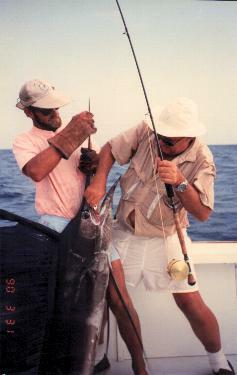 Every body wants that fly from a great catch.